Monogram is eager to announce that licensed brand Redneck Riviera will be participating in Tractor Supply Company’s (TSC) Buy More and Save Event that began July 23rd and will end late September. 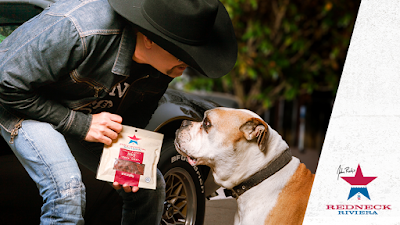 John Rich's Redneck Riviera BBQ Pork Jerky will be sold in close to 1,725 TSC stores in over 48 states and 1,450 cities. The spicy and savory jerky is one of several products that naturally fit the Redneck Riviera lifestyle brand ethos. John Rich says, "I couldn't ask for a more ideal store to carry Redneck Riviera Jerky than TSC. Chances are when driving to your destination you'll pass by a Tractor Supply that you can pull in to and grab some of the best jerky around for your car-ride. They have a home-town general store feel which makes it a perfect home for Redneck Riviera Jerky -- and they're everywhere! And, I'm proud to say we'll contribute a portion of sales to my charity of choice Folds of Honor." Redneck Riviera Jerky is proudly sold in every state in the U.S. in stores such as TSC, Kroger, Cost Plus World Market, Rouse's Grocery, Publix, online giant Amazon among several other locations. For a complete listing or to find a store near you, please visit http://redneckriviera.com/food and enter your zip code.